Google have announced a few devices over the years, but none has done as well as the Nexus range, and none has achieved what the Nexus 7 has achieved. This simple 7 inch tablet, released last year, has become the standard for Android tablets, and even Apple had to follow quickly with the iPad Mini to give this beast some competition. However, this still leads the 7″ market, and things are only getting excited as Google have announced the next version of their best selling tablet. Much like the last one, this has been produced in partnership with Asus. So, we all made fun of Apple when they released the new iPad, and called it the NEW IPAD. Things are a bit similar for this one. 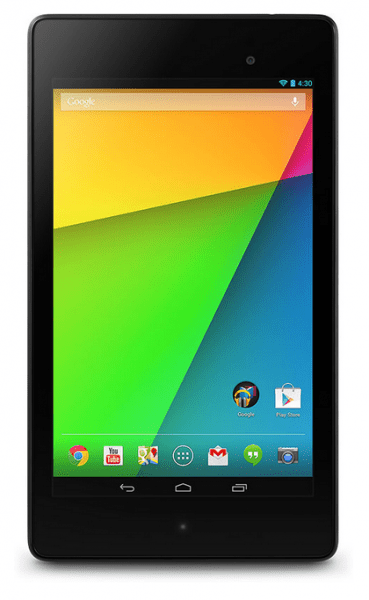 It is being called the Google Nexus 7 2, and while it makes perfect sense, as it is the second version of the Nexus 7, the fact that the number 2 is preceded by the number 7 does make this sound a bit hard to pronounce. 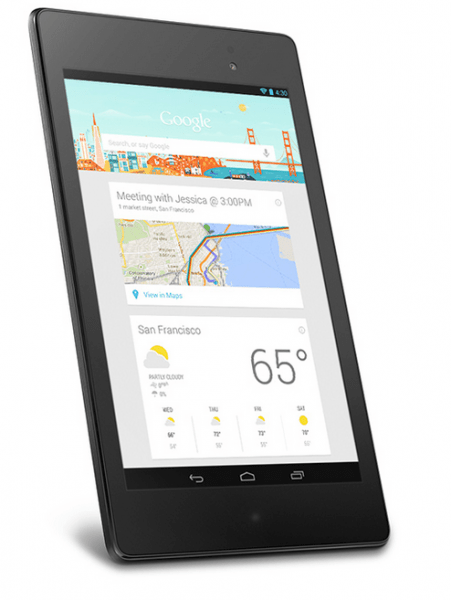 Having said that, Google are just calling it Nexus 7, almost a bit like when you get a new car come to the market. The name doesn’t change, nobody adds a 2 to it, and it just replaces the older version. Nought wrong with that! An amazing 323 pixels per inch, the highest resolution available in the market! The biggest change by far is probably the display. Giving you a resolution of 1920 x 1200, in only 7 inches (7.02″ to be exact), it gives you an amazing 323 pixels per inch, the highest resolution available in the market in that size of a tablet. This means that your videos will be shaper, your graphics will be crisper, and your overall experience would be a lot better. There is also support for OpenGL ES 3.0, and while we won’t go into details, it means you get improved graphics. How do the words “thinner, lighter and faster than the last one” sound? They are all true in the case of the new Nexus 7. The changes aren’t huge, but it all counts. Weighing only 290 gm, and at 114 x 200 x 8.65 mm of dimensions, this promises to be easier to hold, whether you are watching films, browsing, typing emails, or just doing some e-book reading. The last Nexus 7 was already portable, this just adds to that portability. One thing I do find interesting is the fact that the bezel size still remains the same. The frame around the screen was the one thing that seemed to stick out on the Nexus 4 when I tested that, so I was a bit surprised that they have kept the Nexus 7 similar too. Having said that, while you are using the tablet, you hardly notice it. Support for restricted profiles, which is a great feature for people who lend their tablets to kids, or share a tablet among others. Support for Bluetooth Smart (aka Low Energy devices), which means that devices such as Fitbit Flex, and the likes can now pair with your tablet straight away. While other manufacturers such as Samsung have already snuck this into their UI, it is great that Google have finally added this to their set of features for Android. Support for OpenGL, as mentioned above. Better memory management, which means your device will run smoother, faster, and handle memory a lot better. While this isn’t very easy to notice, it is a key improvement in the new Android. Automatic inclusion of Play Games, which allows you to sync your games over different Android devices. This means that you don’t have to lose your progress over Temple Run, Angry Birds, or whatever game you prefer, when you jump from one device to another. Internal storage is 16 GB or 32 GB, less available after formatting. A 5MP rear facing camera with auto-focus, and a 1.2MP front facing camera. 3950 mAh rated battery which promises up to 9 hours of life in active usage. SlimPort enabled, to allow you to plug this into HDMI/VGA inputs. As far as differences go, apart from the faster processor and more RAM, the differences are the camera, the NFC ability, and the wireless charging. Once again, keeping in line with growing trends, but not changing much. 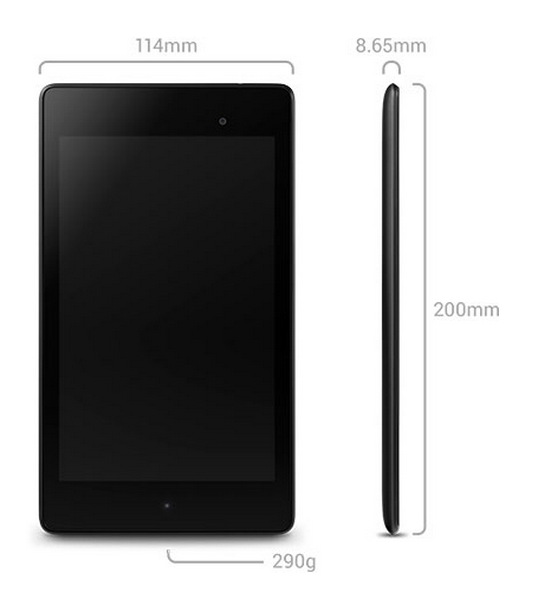 However, as far as we know this will be the only tablet so far that packs in wireless charging. Only thing we would have changed is an ability to pop in a MicroSD card or similar. As always, a number of accessories have already started appearing for the new device, even before it has hit our shores. These include, among other things both official and 3rd party cases, chargers, and docks. I imagine we’ll soon start seeing wireless charging pads with a bigger area as well, that will cater to the likes of Nexus 7. While Google are only telling us ‘Coming Soon’, Currys and PCWorld in the UK are already taking pre-orders. They are selling the 16GB and 32GB models at £199 and £239 respectively, and have a release date of the 13th of September. YES!!!! Before the Nexus 7, I was never a tablet man, and was quite cynical when I spent my money on the original Nexus 7. However, it soon converted me, and soon after I was recommending it to everyone I knew. This one is only better, and at a very similar price point, there isn’t much holding it back.